Why do weekends always go way too quickly. We had a really good weekend. Friday we met my sister and brother in law out for dinner. We had been to this restaurant once before with Scott's parents so we thought it would be a good idea to bring them there. Unfortunately it was not as good as the previous visit. We didn't order the exact same things of course, but we were still not overly impressed. After we headed to friends of theirs to see their new home. They moved in about 6 months ago, and had bought a model home in a new build area. It was really fun to see them and their house. Saturday, I had been wanting to try this restaurant in Uptown, it had been on my restaurant list for a while and last weekend our friends were talking about their buttermilk fried chicken sandwich again, and I could not get out of my mind. It did not disappoint, but, I think I enjoyed their cheeseburger just as much if not more. It was delicious! Scott and I split so we could each try both, so glad he does splitzies. 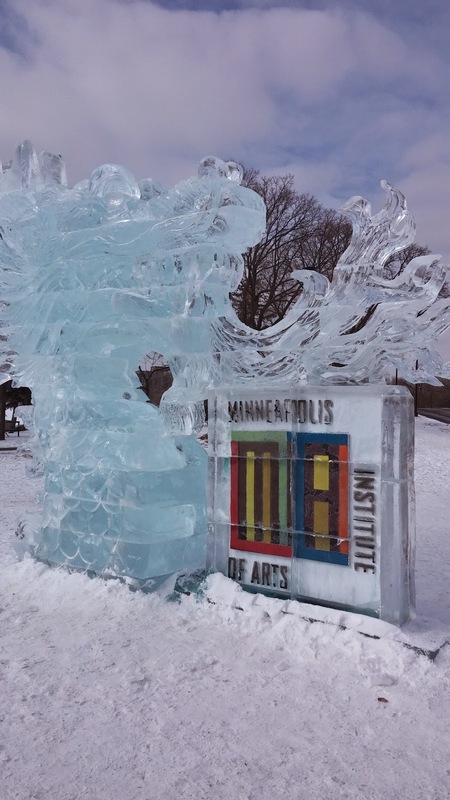 We had seen that MIA had built this fabulous dragon ice sculpture on Lake Calhoun, so we walked down and checked it out, really cool, but SO cold! I really want to go back and see it lit up at night. We also stopped into Penzey's to get some spices, I really miss living in the Uptown area. We worked on crossing off the Oscar nominated flicks off of our list last week. We saw The Judge, a free Redbox movie, loved it, The Imitation Game, really enjoyed it, Selma, great movie and then yesterday we went out to lunch with Scott's parents and then saw Still Alice. Julianne Moore was fantastic and really deserved that trophy she won last night. We were home in time last night to build a big fire, pour a nice glass of wine and get a cheese and cracker platter together to take in the fashion on the Red Carpet. SO fun! Loved it! 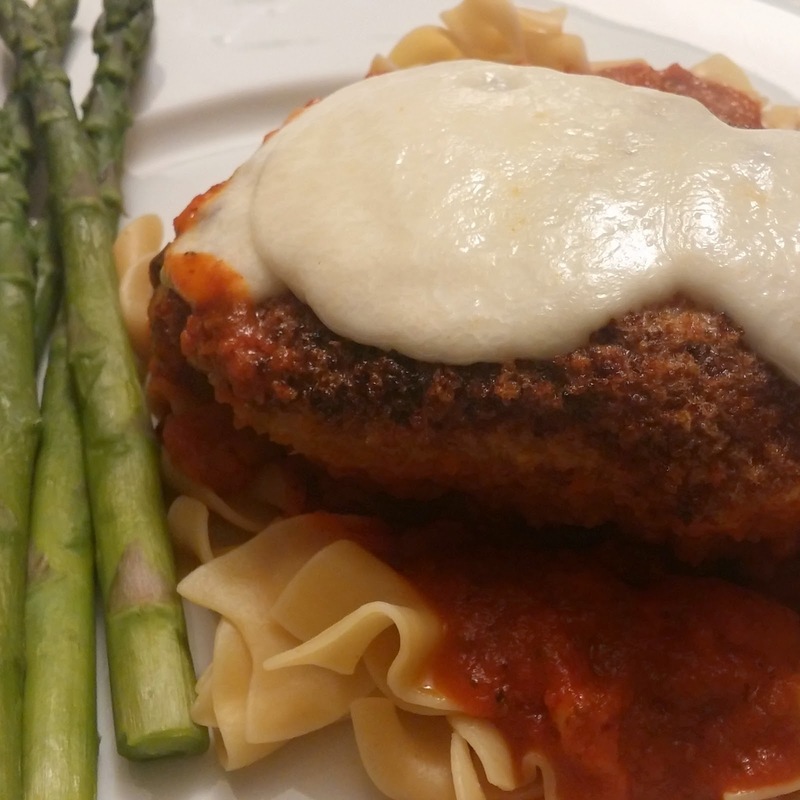 We didn't get to make all of the recipes we had planned for last week, but the Pork Chop Parmesan was fantastic. 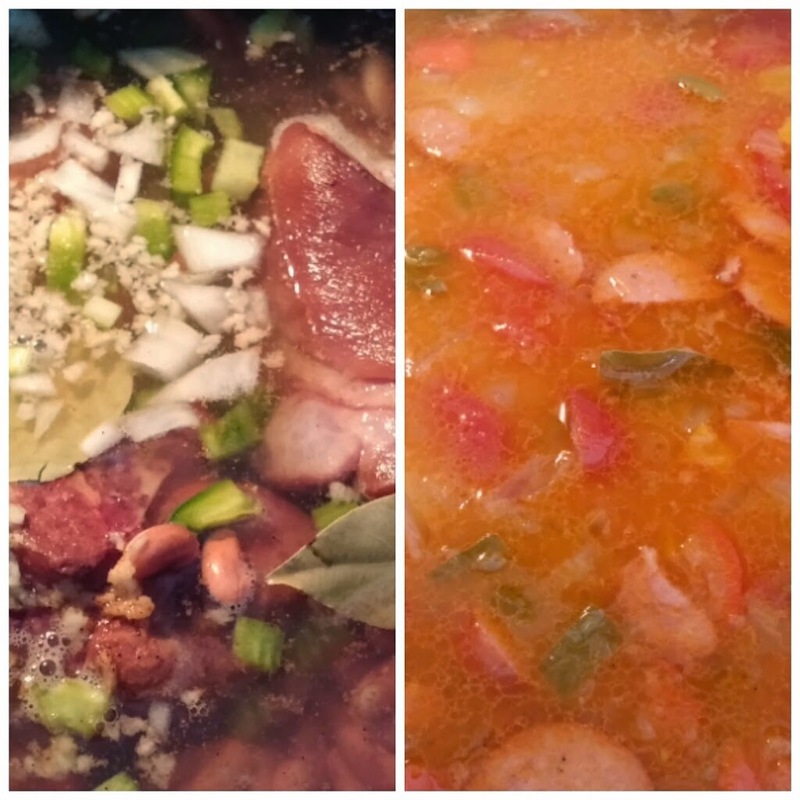 Our Red beans and rice and gumbo turned out really good, Scott could not have been happier and had the last of the gumbo for breakfast this morning. He loves leftovers for breakfast. I need more breakfast foods. 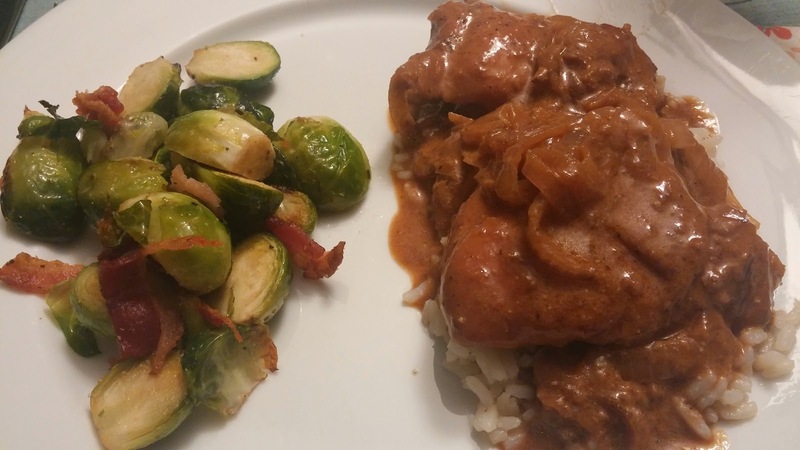 We did not do the tri tip steaks or the meatballs with rosemary aioli last week, but instead I used the rest of the chicken thighs from Tuesday for chicken thighs with red wine vinegar, this was such a great recipe, we loved it and I passed it along to a few other people. Really interesting ingredients that made for a wonderful sauce! All of the new recipes that I made last week were all keepers and I would make all of them again. The red beans and rice as well as the gumbo will be regulars on our Fat Tuesday menu from here on out. 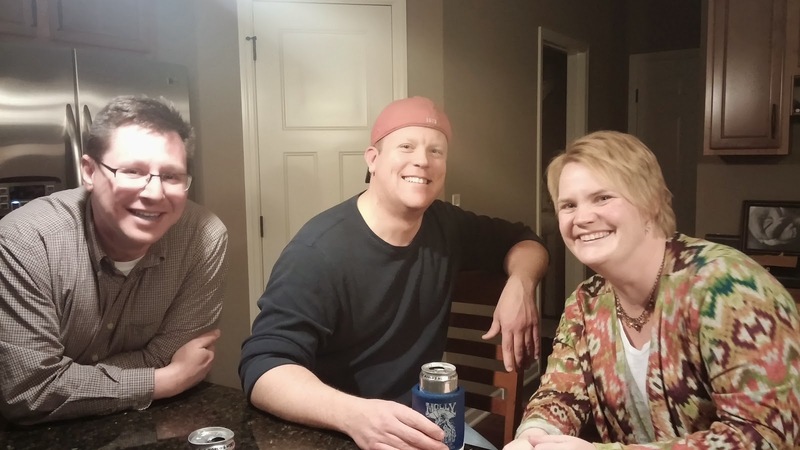 We had our neighbor Pat over for dinner Tuesday, I wasn't sure how everything was going to turn out, but it was a fantastic dinner that we will definitely repeat! One of my goals for 2015 is to cook more at home, we tend to eat out quite a bit, which is great, but I want it to be more thought out and planned. 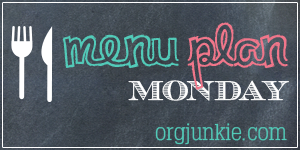 I have a list of restaurants that I want to try and with all of the new restaurants opening that list tends to grow. But I have a ton of cookbooks, a ton of recipes pinned on Pinterest and some great tools at my disposal, like our crockpot, le creueset dutch ovens and our grill, plus, I really enjoy cooking, at the end of the day, I find it very relaxing. I want to try a new recipe every week, use the crockpot at least once a week and make something from one of my cookbooks or magazines. We try not to make plans for Mondays, we use it to ease into the week and continue to wind down from the weekend. I would like to do a Mexican Monday, tacos, enchiladas, burritos, nachos, taco salads. We love all of those things so I figure why not, it makes life easy! I also want to try to cook from our fridge/freezer/pantry as much as possible. My problem is that I have the flashy object syndrome. I see a new recipe or get a craving for something and our plans go out the window and I wind up going to the store to get what I need instead of using what I have at home. Since I have spent a lot of time cleaning out and organizing these cabinets the past couple of months, it would be nice to see them get emptied out a little. I threw a lot of stuff out, and I don't want to do that going forward. One of my other goals for 2015 it to try to adhere to a Whole30/Paleo/Clean Foods lifestyle as much as possible. We have really enjoyed the foods and recipes that we have tried, and it really seems to agree with us. We have a couple of exceptions that we have both agreed to, Scott needs his milk, it doesn't agree with me. Cheese, we love it too much. We try to do goat as much as possible, but, that is a deal breaker for us. In the past two weeks we have had pastas and rice, I am going back to staying away from those. Here is what we have scheduled for this week! Plans - home, I have laundry I need to catch up on, we had our Home Service Plus out to look at our fridge what has been working more as a freezer lately, and I just need to veg and catch up on DVR. Breakfast and Lunch - Leftovers from lunch yesterday, my tuna melt with clementines. I was thinking I would have something for lunch, but I am still SO full from breakfast. 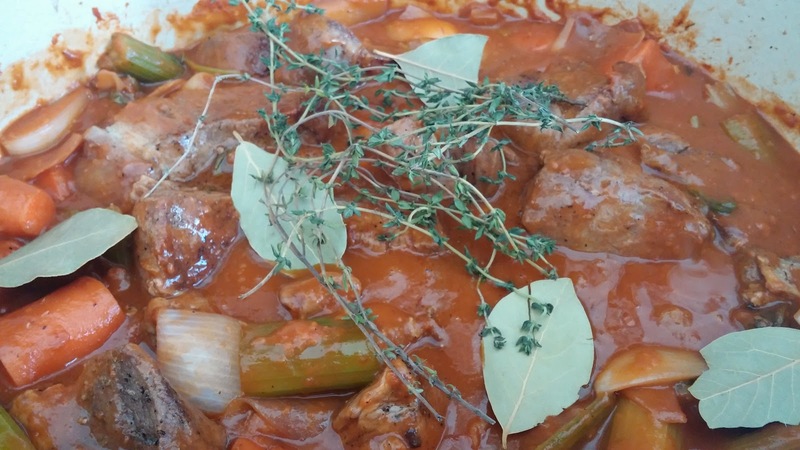 Dinner - I started this yesterday, the whole house smelled incredible, Braised Pork Shoulder we are having ours with polenta instead of grits, but I am really looking forward to this for dinner! Plans - Home. I know after work I need to get the car washed and run some errands but it will be another evening in. Breakfast and Lunch - I am meeting a high school friend for lunch. We haven't caught up since HS, so it should be a lot of fun. Its also restaurant week, so we are trying one of my favorites in downtown Wayzata 6Smith. Dinner - Pot Roast in the Crockpot I don't usually follow or need a recipe for this, but this looks really close to how I make mine. Plans - Home. Again. At the bottom here I am going to publish my long outstanding ta-da list that I know I need to tackle this week. These are things that I have had on my list since the beginning of the year, so I want to do my best to actually try to get some things accomplished. Work has been crazy lately, so even though I work from home, trying to get anything extra accomplished during the day is impossible. Breakfast and Lunch - Eggs and bacon. Salad, I bought beets at Trader Joe's on Sunday, so I am planning on roasting those in the morning so I can have them with my salad! Dinner - Leftovers. With lunch plans and a salad for lunch, the leftovers are not getting eaten so we need a clean out the fridge night. Plans - Home. See above. Breakfast and Lunch - Eggs and bacon, leftovers. Plans - SOOOOO excited about this. We are headed to Spoon & Stable, which was just nominated for a James Beard last week. It is a new restaurant that opened in November last year and is impossible to get a reservation at. We have had these reservations with friends for two months! I cannot wait! Now, what to wear! Breakfast and Lunch - I will be keeping it light today, an egg and some fruit for breakfast and a salad or some soup for lunch. Dinner - If you follow me on Instagram, I am sure you will see a few posts from dinner! Plans - We don't have any plans at this time, but I really enjoyed last Saturday and just heading out and doing some exploring. There are always so many fun things going on in our own back yard, I am looking forward to seeing what we encounter. I will probably need to prep dinner for Sunday as well. Meals - up in the air based on what we find to do! We will have to do some grocery shopping for Sunday. Plans - I am really looking forward to our plans for Sunday. This is my kind of a day. We are heading to the Home and Garden Show with two other couples. We all have house projects going on, one couple is even looking at buying a new place which I mentioned last week. We always have projects going on, but the other thing that I have realized is so important, in order to keep your house marketable, you need to keep refreshing! Looking forward to the show with this fun group though. After, there was a special request for my spaghetti and meatballs. 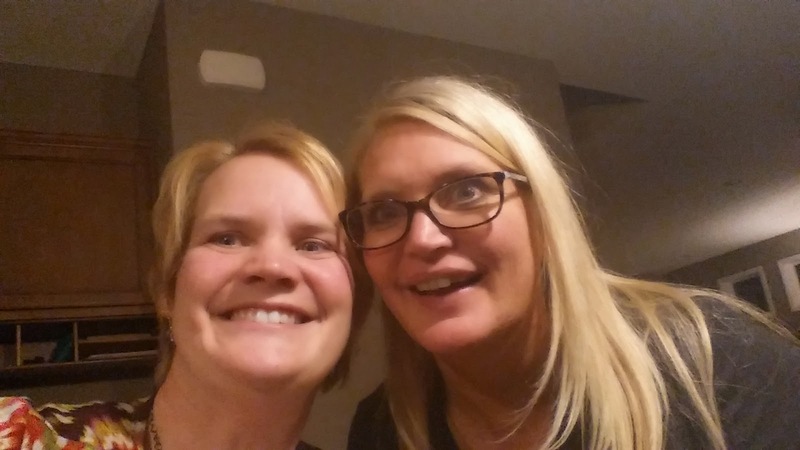 I made them one night years ago, after Thanksgiving, we had them over and did a little Wii bowling, just a really fun night, but they loved my mom's recipe for spaghetti and meatballs. My mom's recipe for spaghetti and meatballs was always my birthday meal request, and now I have had several people request mine (I use my mom's recipe!). Scott's dad, its one of his favorites, my dad, of course, I love making it too! Its kind of funny because my parents are both Polish and if you know MN we don't have a lot of Italians, especially on the Mpls side, most of our true Italians are either up on the Iron Range or in St. Paul. But my mom always made her three meat meatballs and homemade sauce. I wonder if someone else taught her how. I will have to ask. I am thinking I will make them up on Saturday so that they have plenty of time to cook in the sauce. Invitations for Neighborhood Sip n Mingle (we did this in the fall, it is a great way to bring everyone together and see how everyone is doing. In MN we tend to hibernate in the winter so you don't really see people out and about. Wine Swap party. It has been forever since we have had a wine get together with the club. For this one I will have everyone bring a bottle of wine and snack to share and a bottle of wine that will go into the swap. Should be fun. Turn Style - I dropped stuff off for consigning a while back, I should go in and check to see if I am owed any money. I should see if I have more i could take in. Basket for blankets in the living room. I am looking for a big basket we can store our blankets in, we tend to do a lot of snuggling under blankets during the winter. Make eye appointment. I think I might be at that age where I need those special glasses. I had to stop wearing my contacts about 6 months ago, not sure, maybe there is still something they could do. Inventory and catalog wine (this is a mess and needs to get done asap, but it is a big project, we easily have at least 24 cases that need to be photographed, inventoried and put into our spreadsheet/database).